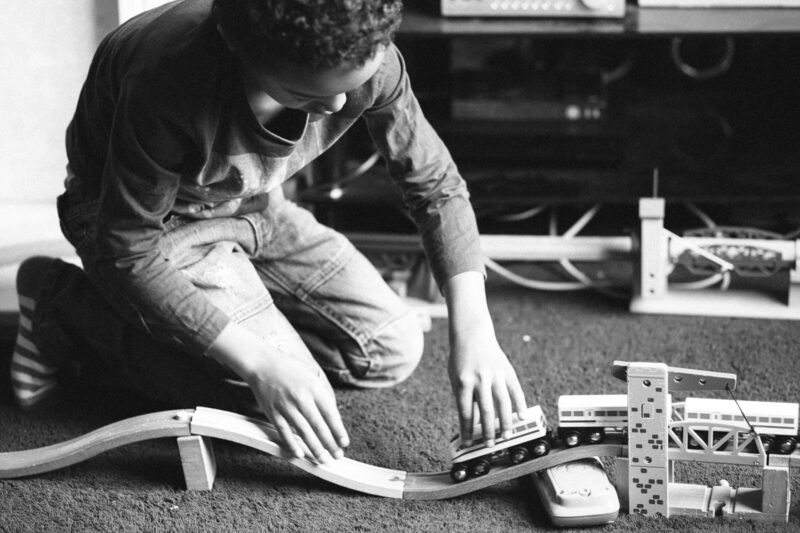 Boy playing with train track. Taken at home. Earlier in the day a train had been 5 minutes late and lots of passengers had been grumbling and complaining. However as I sat on my significantly delayed train daydreaming and wondering why these new trains were worse than the old ones because they didn’t have any power sockets I suddenly realised something. Nobody was complaining. I started to pay a bit more attention to work out why. Then something dawned on me. It was the driver. In this situation the train driver was our leader and he communicated in a way that that had made us feel at ease. Although we were not happy about our commute home being delayed he’d created an atmosphere where we trusted him for the time we were on the train. I got on my train at Finsbury Park station in London and there was an immediate delay as soon as the train started moving. At this stage the driver came over the tannoy to announce that there was a red signal up ahead and there was a delay. We were kept in the loop. About 5 minutes later the driver came on and told us he’d discovered that there were several trains ahead of us and, as result, the delay would be longer than he thought. Obviously we weren’t happy but he prepared us for a long wait rather than being overly optimistic and then disappointing us. It’s entirely possible that he knew more information than he told us but he kept us updated with enough information to make us feel that we were knew as much as he did. It’s really easy to alienate people with language or not to fully inform people because you feel they don’t have the full knowledge that you do. In this case, the train driver used some technical language to explain why we were delayed and what would need to happen before we could move but then he went on to explain what the terms meant in layman’s terms. The result? Customers didn’t feel patronised. A parallel I can think of in schools is that sometimes leaders don’t explain the rationale behind certain decisions, obviously some details are confidential but actually people are much more likely to buy into decisions is they understand why they are made – even if they don’t agree. Learn from the train driver. It’s not always necessary to hide unfortunate situations and work away in private perhaps clear communication is a better way to go and creating a sense of working together to overcome an obstacle.